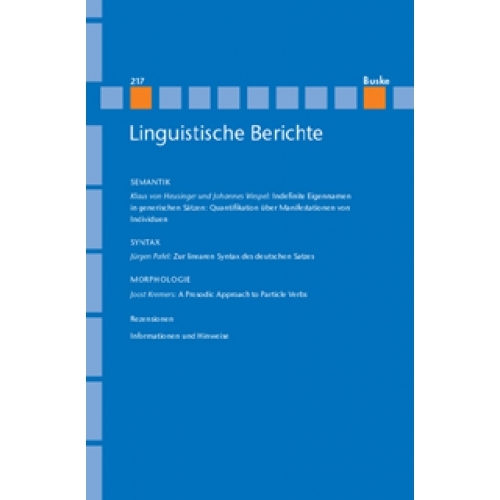 Linear syntax as a descriptive theory of word order must provide schemata (i.e. ordered sets of slots) and restrictions concerning the schemata's slots, in order to qualify as a theory making predictions. 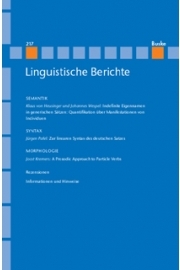 Two accounts of the linear syntax of German clauses (,,Theorie der topologischen Felder") are presented, which fulfil this condition. The first one is a slight modification of Höhle (1986). The second one is an elaboration of the first one by focusing the restrictions, introducing an additional slot and incorporating the notion of trace into linear syntax.